Shoppers interested in a new car are probably thinking about car safety. And in modern cars, safety means airbags. While there were only a few types of airbags just 10 years ago, modern cars sometimes include more than a dozen -- and it can be difficult to sort out which airbags do what. We've made this list to help guide you through today's increasingly complicated world of airbags. This one should be easy: Side airbags protect you from a side impact. Of course, it isn't that simple. Modern cars generally offer two types of side airbags. 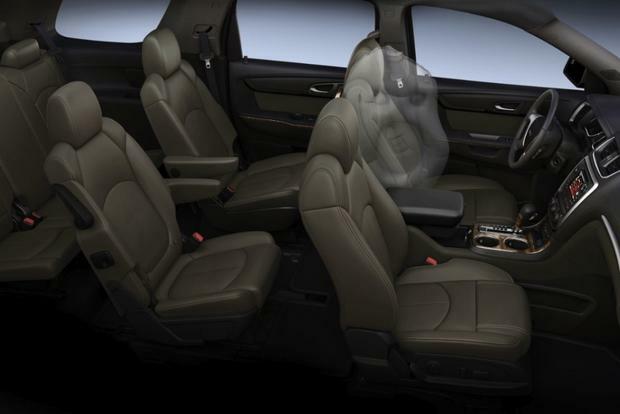 The first type is torso airbags, which are usually found in the side of seats. As their name suggests, they protect your torso from a collision. Most cars only have these in the front seats, though some luxury models offer them in the back, as well. The other common side airbag is the curtain airbag. 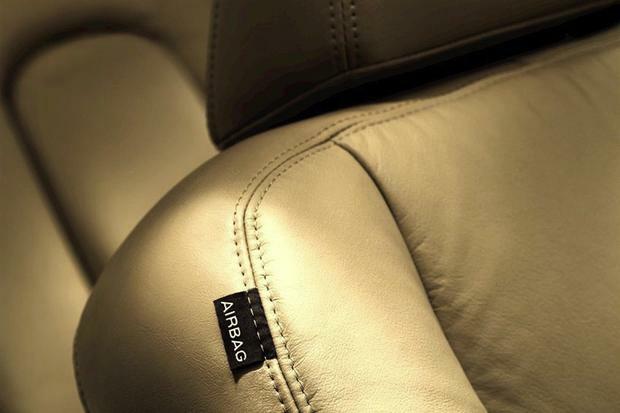 This airbag is more important than the torso airbag, since it deploys from the car's ceiling to protect your head. Usually, curtain airbags cover front and rear seats, though they also can protect third-row passengers in some larger vehicles. Side airbags aren't limited to torso and curtain airbags. 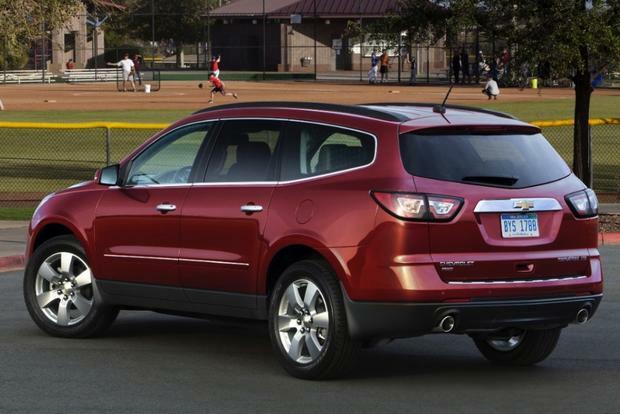 General Motors recently rolled out a new side airbag in its Chevrolet Traverse, GMC Acadia and Buick Enclave SUVs. Dubbed the "front center airbag," this new airbag is between the front seats and protects occupants from a collision on the opposite side of the car. Dual front airbags are mandated on all cars sold in the United States. That's been true since 1995, though a few popular models -- including the Chevrolet Blazer -- went an extra few years before adding them. 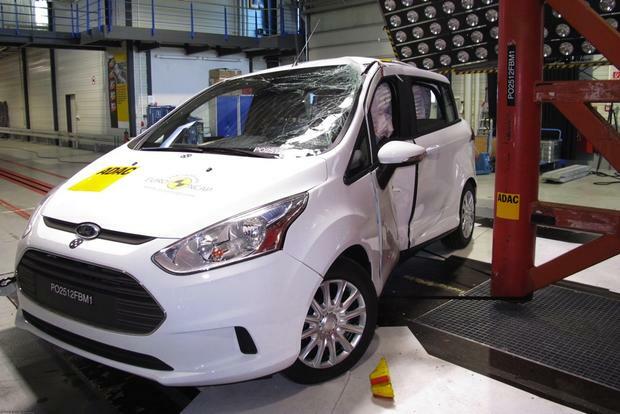 In large part, however, most new and used cars will have dual front airbags. In a collision, the driver's airbag comes from the steering wheel, while the passenger's airbag deploys from the dashboard. Many new cars have a weight sensor for the front passenger seat that will prevent the airbag from deploying if a small child is sitting there. For older cars without a weight sensor, the airbag's force can cause injury in younger children. As a result, the government suggests that children under 13 should ride in the back seat. 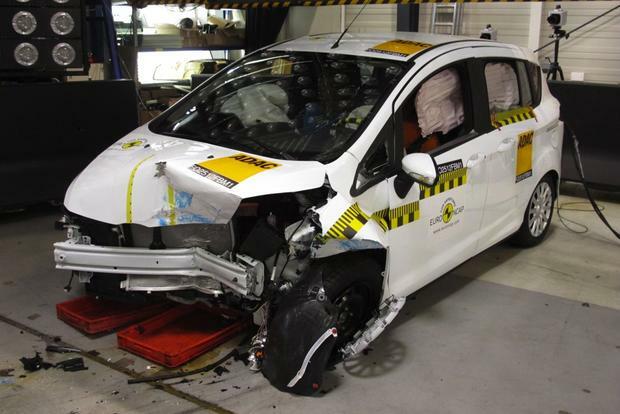 Many automakers, including Toyota, now have knee airbags to improve car safety. While it may seem unusual to have an airbag devoted to your knee, these airbags can prevent serious injury. The reason is that they deploy under a car's dashboard, stopping front seat occupants' knees from hitting the hard surface. This can prevent kneecaps from shattering, which is a common injury in high-speed frontal collisions. 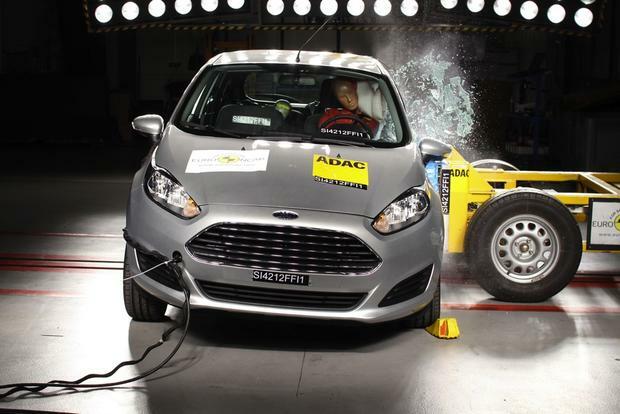 Ford recently introduced an entirely new airbag that isn't really an airbag at all. The brand's inflatable seat belt functions like an airbag by deploying in an accident. But while most airbags cushion passengers, the inflatable seat belt instead helps spread an accident's force over a wider area on a person's body. The result is that the accident doesn't feel as severe, since the force isn't as highly concentrated. Inflatable seat belts are available only for rear seat passengers in the Ford Explorer, though the brand says the technology will spread soon to other models throughout its lineup. It's true that airbag technology is becoming increasingly complex. But we hope our list of airbags shines light on a topic that's highly important for any new- or used-car shopper.